Ethiopia should be on your list of must-sees this year. It is affordable and easy to get to, with an amazing coffee culture! One could say Ethiopia is the top emerging African travel destination. All photographs courtesy of Iga Motylska. You simply have to walk through a winding passage and then through a rocky entrance to find yourself standing in front of the St George’s Church. 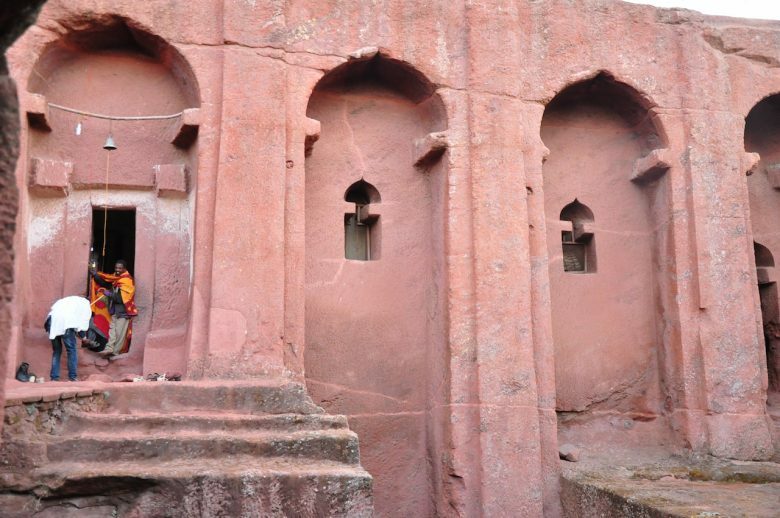 This particular church is the most popular of the 11 rock churches and 2 chapels that form part of the Lalibela church complex which was literally carved out of volcanic rock. This painstaking task took 23 years and 6 months to complete and was a result of King Lalibela’s dream to build a new Africa Jerusalem. After 9 centuries, these awe inspiring creations are still standing for us to behold. Travellers are actually silenced by the grandeur of it all. 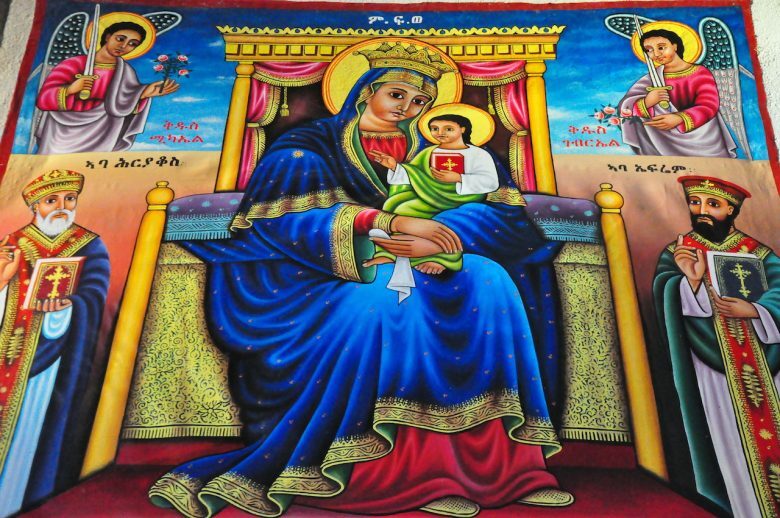 Though Lalibela is regarded as a very important religious and pilgrimage site, the kingdom of Aksum – which was founded more than 3 000 years ago – was one of the world’s first Christian countries, when the religion was adopted in fourth century. 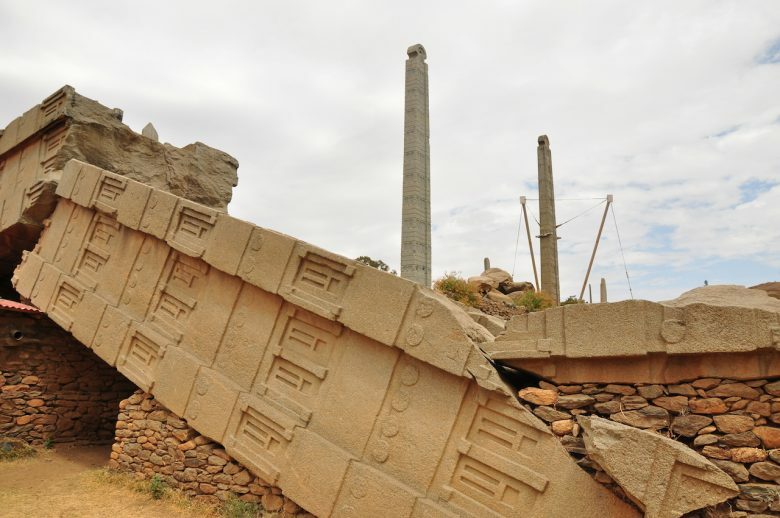 You can wander amongst towering granite obelisks and admire engraved tablets before entering the royal tombs at Aksum Stelae Park. 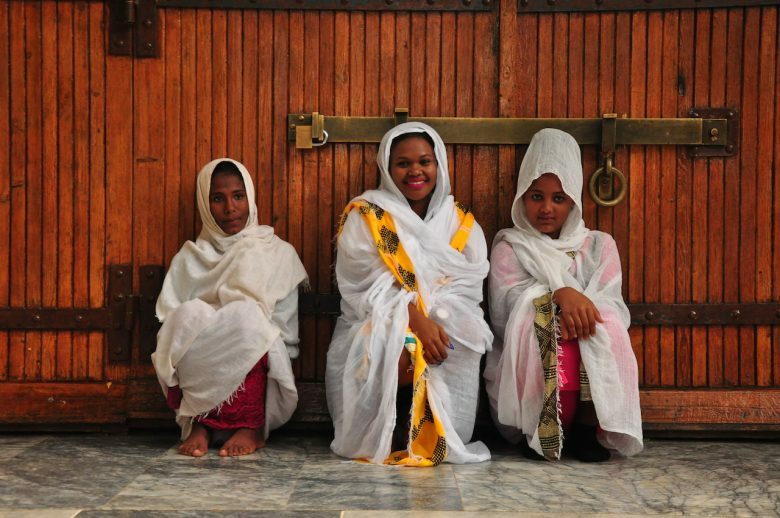 Just across the street from Aksum, is Ethiopia’s oldest church. The walls of the cathedral are brightly painted with Bible scriptures simply because a lot of individuals were illiterate. Both sites free to enter. Behind the cathedral you will find the Chapel of the Tablet. This is guarded night and day as it’s believed to house the Ark of the Covenant – a gold covered receptacle for the 2 stone tablets which are actually inscribed with the ten commandments. Based on the legend, which any Ethiopian will be able to tell you, this was brought to Ethiopia by the son of Queen Sheba and King Solomon. Ethiopia is a land of royalty. 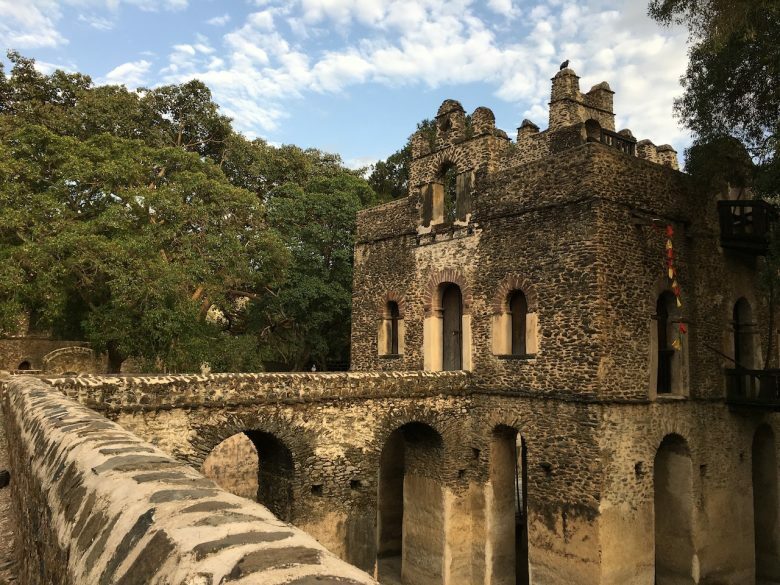 Fasil Ghebbi, also known as the Camelot of Africa, is based on the 17th century fortress city of Gondar – the former capital city. Although impressive, it’s normally Debre Birhan Selassie Church that is the most impressive. The tiny church appears quite humble from the outside, but the insides are adorned with biblical murals, and the ceilings are painted with the faces of angels. 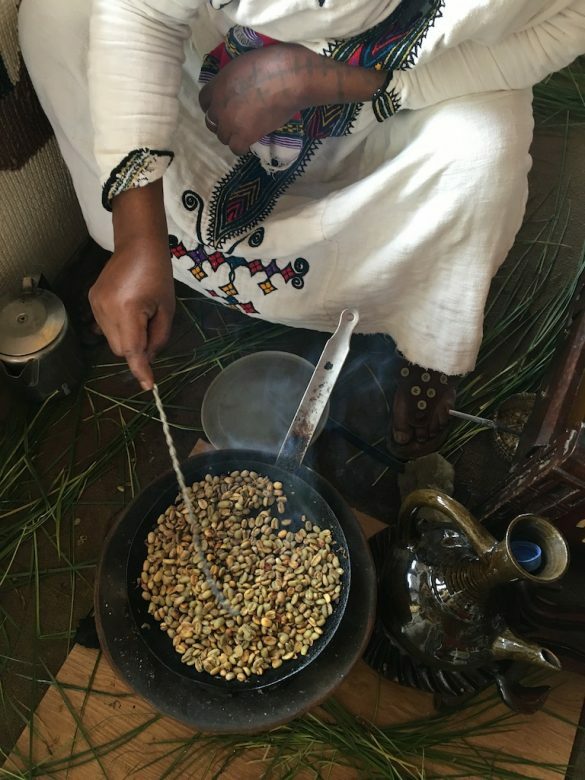 Ethiopia is the birthplace of coffee, not Brazil, and it resonates through every part of every day living. You don’t just grab a quick coffee, here coffee drinking is down to a long standing ritual, a fine art. Coffee is sold to you by white cloaked female coffee sellers busy hand roasting coffee beans in clay pans on street corners, in restaurants and cafes, airport lounges and hotel lobbies. You need no convincing when that aroma grabs you! Rather than sticking to your hotel’s international meal options, try the wide selection of affordable and traditional dishes. Christian Ethiopians fast on Wednesdays, Fridays and during religious holidays by not consuming animal products so there are plenty vegetarian options available to travelers. One of the favourites are Bayenetu, a kind of vegan, lactose free platter consisting of a big injera (pancake made from fermented teff flour) topped with Shiro (chickpea paste) and sauces called Wats. Expect large dollops of curried potatoes, spinach, beetroot cubes, cabbage, and also pureed lentils and pea stews. Locals normally share communal meals so expect your waiter to bring a jug of water, a bucket and a towel to your table so you can wash your hands. Also join in the local tradition of eating using your left hand only! While Ethiopia isn’t the cheapest African nation to visit, it is still pretty very affordable for South African travellers and is frequently be found on lists of the’ ten cheapest African countries’. 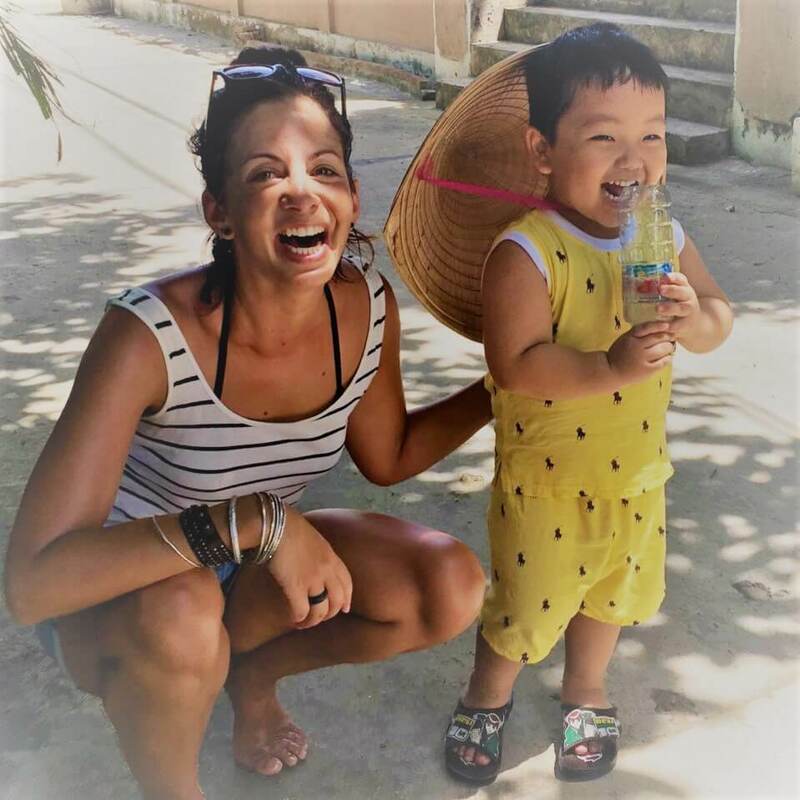 Local food and public transportation are also very affordable so you have no excuse to not visit this African gem!